The retail space that housed a Barnes & Noble store until January 2013 will reopen as a TD Bank in 2015, a spokeswoman for the bank said. GREENWICH VILLAGE — This space is going from books to bank slips. The Sixth Avenue and West Eighth Street Barnes & Noble location that closed earlier this year will become a TD Bank branch, the bank confirmed Monday. 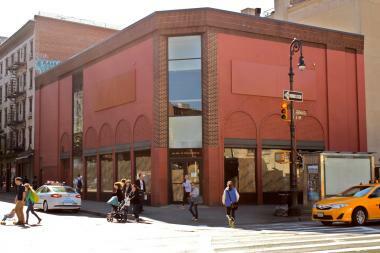 The 396 Sixth Ave. bookstore shuttered in January, when signs reading "Closed Forever" were posted in the windows. They were later removed. Rumors about the new bank circulated in the Village last week, including on Washington Square Park Blog. The bank will open in 2015, a TD Bank spokeswoman said. The company is planning on opening additional locations in early 2014, at 451 Lexington Ave. at East 45th Street and 885 Sixth Ave. at West 32nd Street. Friedland Properties, which marketed the retail space, did not respond to an inquiry about the terms of the lease.